Yarbo 123A has captivated our imaginations ever since the day he was born. 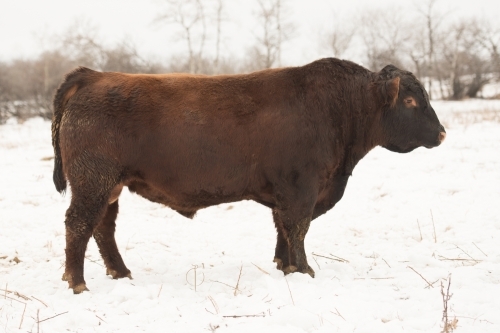 He is a calving ease prospect with endless mating options due to his unique outcross pedigree. He puts all of the puzzle pieces together so very well. He is stout made, super hairy, full of red meat and truly exciting. The maternal cow family was hand selected out of the Wagner dispersal to start an outcross project. We are extremely excited about the future that Yarbo 123A will play in our breeding program.